The IGS-9084GP is a managed redundant ring Ethernet switch with eight 10/100/1000Base-T(X) ports and four 100/1000Base-X SFP ports. The switch is designed for Railway applications and is fully compliant with the requirements of EN50155/EN50121-4 standard. 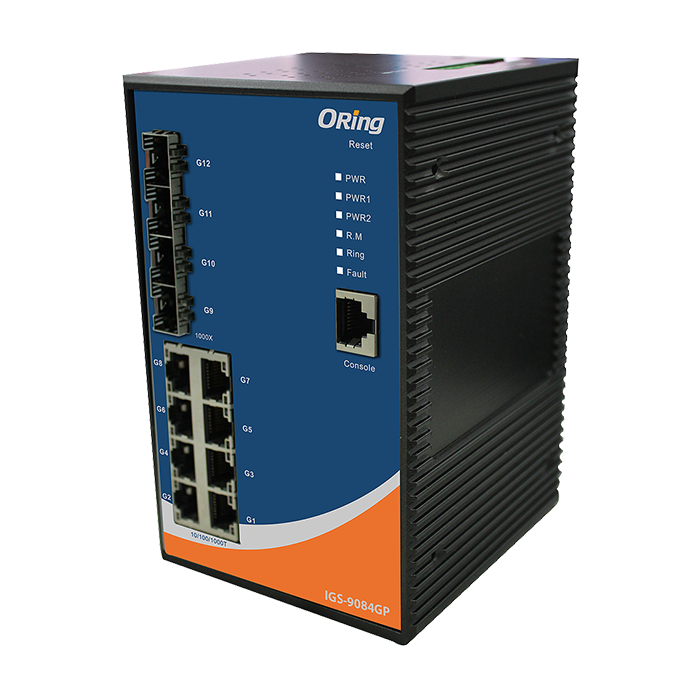 Completely supported by Ethernet Redundancy protocol, O-Ring (recovery time < 30ms over 250 units of connection) and MSTP (RSTP/STP compatible) protect mission-critical applications from network interruptions and temporary malfunctions with its fast recovery technology. All of these functions are included with a wide operating temperature ranging from -40ºC to 75ºC. 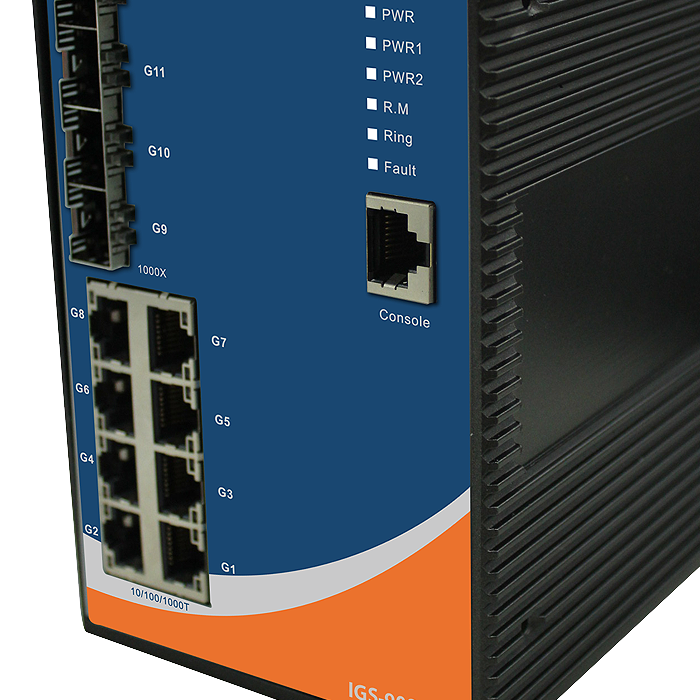 The IGS-9084GP can be managed, centralized, and made convenient by Open-Vision, Telnet, and console (CLI) configuration. In addition, with its rugged design for railway certification, i.e. EN50155/EN50121-4 standard, makes the IGS-9084GP a solid and reliable choice for railway traffic communication, transportation application, and highly-managed and Fiber Ethernet applications.